Marcus Akuhata-Brown is a gifted communicator and qualified teacher – he’s an emerging leader and inspiring international speaker with a powerful message! Marcus motivates and inspires people to hit higher levels of performance and they leave his presentations with a fresh perspective on life. He’s a gifted communicator and has travelled the world extensively – he’s done everything from meeting the Queen and dining with members of the Royal family to working with the poor and marginalised in countries around the world. Marcus will stimulate, entertain and inspire you with his powerful message and creative delivery style – he tells of how glass lids of low expectation and achievement were lifted off his life and how, through positive encouragement, intuitive goal setting as well as having the courage to break out of comfort zones, led to a life of excitement, adventure and purpose. Marcus grew up on the East Coast – he’s a qualified teacher and has led a number of innovative alternative education programmes addressing the learning needs of youth at risk and young offenders. Over the past 7 years Marcus has travelled all over the world as both a national and international representative. He founded a global consultancy in 2000 and is currently involved in a number of education and training initiatives. He is also a previous director on the international board of CIVICUS and member of the Commonwealth Youth Caucus. Dame Wendy Pye is a tireless champion of children’s literacy – both in New Zealand and around the world. The now 75-year-old started Sunshine Books in 1985 after meeting a group of adolescent boys who couldn’t read. Since then Wendy Pye Publishing has amassed a catalogue containing thousands of titles and has sold hundreds of millions of books. Pye, who lives in Auckland, sees boosting literacy as more than just a way to make money. She previously told the Herald it was a sort of panacea for poverty. She became Dame Wendy in 2012 for services to business and education and in 2016 was named by Forbes magazine as one of Asia’s top 50 “power businesswomen”. The first woman to be inducted into the Business Hall of Fame, Pye launched a Southeast Asia programme in 2016 selling affordable tablet computers pre-loaded with English-teaching software to families in areas with no internet connections. “We’ve got the ability [with this idea] to teach thousands and thousands of girls who are in the home and don’t go to school,” she told the Herald in 2016. Children’s book author and illustrator Gavin Bishop has won numerous national and international awards for his distinctive ink and watercolour illustrations and his original stories. He has appeared as a teacher and guest speaker at many international forums, and has been commissioned to write and design several successful ballets for the Royal New Zealand Ballet Company. 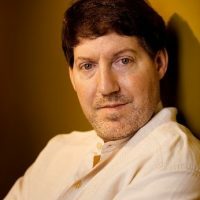 The Storylines Gavin Bishop Award was established in 2009 in recognition of his contribution to children’s literature. 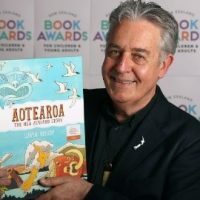 In August 2018, Gavin’s non-fiction book, Aotearoa: The New Zealand Story, took out the top honour at the Children and Young Adult book awards. Aotearoa: The New Zealand Story also won the Margaret Mahy Book of the Year Award. 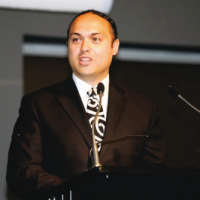 In 2018 Gavin was awarded Ngā Tohu ā Tā Kingi Ihaka (Sir Kingi Ihaka Award) for his contribution to Māori art and culture. 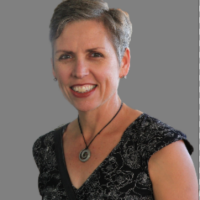 Dr. Viv Aitken is a Research Associate with the University of Waikato, having worked as a lecturer and senior lecturer in the Faculty of Education from 2003-2013 and in the Theatre Studies department from 1995-2003. From 2014-6 Viv was Associate Professor and Programme Co-ordinator for the Bachelor of Teaching (Primary) at the Eastern Institute of Technology (EIT). She continues to teach, supervise and research in association with Waikato and other academic institutions in NZ and overseas. 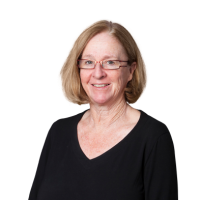 Viv also works as a Ministry-accredited facilitator and senior consultant with the Institute of Professional Learning (IPL) offering tailored professional development in schools around Aotearoa. Her areas of expertise are curriculum integration, student agency, The Arts and inquiry learning. A key focus for her research and practice is the teaching approach known as ‘Mantle of the Expert’ where learning takes place across the curriculum through a combination of inquiry, drama and powerful positioning. Increasing numbers of teachers and schools around NZ are adopting this approach and in past years she has taught a summer school Masters paper in Mantle of the Expert and she also hosts a website for teachers. Mary Chamberlain is a director of Evaluation Associates and a consultant. She is currently working with a number of organisations on education projects. Mary is a leader in curriculum and one of New Zealand’s most highly respected educators. She has deep knowledge of the education system and a profound understanding of teaching, learning and assessment, and what it takes to design an effective education system. She is highly respected as an education thinker and evaluator, having recently been involved in the OECD review of education in Indonesia. Mary spent 10 years as a group and senior manager in the Ministry of Education in Wellington. 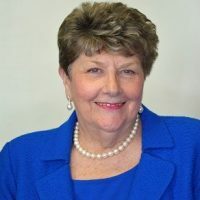 She led the development of the New Zealand Curriculum, the development of Curriculum Exemplars for years 1-10, the design of the National Assessment Strategy and the design of National Standards in literacy and numeracy. She has also been a teacher, principal and adviser to schools. Mary has a bachelor’s degree in education and a number of master’s papers in education management. She also has an executive master’s degree in public policy. She became a member of the New Zealand Order of Merit (MNZM) in the New Year’s Honours announced in 2012 for services to education. Mary is passionate about achieving more equitable education outcomes. She particularly enjoys solving problems relating to quality teaching and learning at school, regional or system levels. In 2018 Mary was appointed as co-leader of the Ministerial Advisory Group of the Curriculum, Progress and Achievement. Dr. Murray Gadd is an independent literacy consultant who recently completed his PhD on ‘what is critical in the effective teaching of writing ’in year 5-8 classrooms. He works nationally and internationally on literacy issues, particularly reading and writing. Murray Gadd led the team that developed the national writing exemplars for the Ministry of Education. 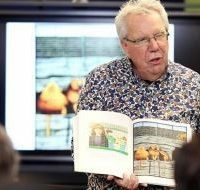 He has also written Effective Literacy Practice in Years 5 to 8 and has also worked closely on the English sections of the NZ Curriculum. He currently works across the country with schools on literacy-focused topics. 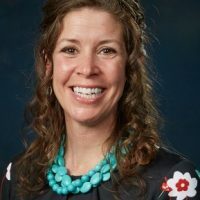 K. Mallery Keenan is an English learner resource teacher for Community Consolidated School District 59 in Des Plaines, Illinois, USA, and a doctoral candidate at Judson University. Prior to her current position, Ms. Keenan was a middle school literacy coach and an elementary learning specialist with a focus in reading. Additionally, Ms. Keenan founded A to Z Literacy Movement, a nonprofit organization that aims to improve the lives of impoverished children through literacy development. She has traveled to Zambia, Africa, nine times to provide professional learning workshops while working side by side with her Zambian colleagues in literacy instruction. Her research interests include engagement, professional identity, and culturally responsive pedagogy.